After a typically quiet August, at least in terms of wedding photography, wedding season has kicked in again and one of the first shoots for this wedding season is this Holyrood Park Engagement Shoot I photographed just last week. 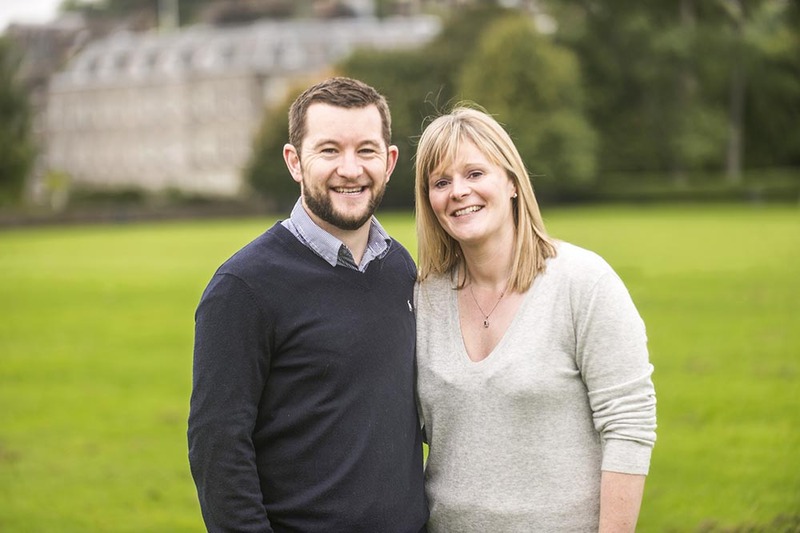 Vicki and Andrew booked me for their wedding this April for their wedding at Edinburgh Castle and Duddingston Golf Club in October (I’ve got back to back weddings in two days) and part of the agreement was a preshoot. Vicki and Andrew live in the Meadowbank area of Edinburgh and I’m just the other side of Holyrood Park in Marchmont and they were really keen to do first thing in the morning (perfect for me!) so we decided on Holyrood Park for their pre wedding shoot. None of us were keen on climbing to the top of Arthurs Seat 9am on a Sunday morning but we did walk up to St Anthonys Chapel which is around a third of the way up. From St Anthonys Chapel you have really awesome views in almost any direction. You have views of Holyrood Palace, Meadows, the Forth, Arthurs Seat itself, more of the Salisbury Crags and it’s basically a really great spot for people and landscape photos. The weather wasn’t amazing on the day but Vicki (especially) and Andrew were really keen to get a feel for having their photos taken professionally. We spent a couple hours together, just over an hour taking photos and hit a few locations all within half a mile. It was also really cool to visit that part of Holyrood Park on a Sunday as the park is closed off to traffic. There are always events in Holyrood Park anyway but to wander around with no traffic was a real delight. So that’s it from this Holyrood Park Engagement Shoot. I’m just editing a wedding taken at The Caves a week ago. I photographed a really lovely wedding at Lothian Chambers and St Leonards Hall today, I’ve got a wedding at Dalhousie Castle Monday and next weekend I’m doing two pre shoots. Each month until the end of the year I’ve got at least a couple big weddings a month and I’m as busy as ever photographing cars and studying at university (not photography!). Busy times as always but I wouldn’t have it any other way. Hope you like these Holyrood Park Engagement Shoot photos.